Do you love playing online poker but have trouble turning a profit? What if there was a way to rake in some good cash even when you barely break even? Actually there is an ingenious way of doing just that, and it’s simply called poker rakeback. This is a legitimate technique that you can start using today; it could help you make a little extra poker money if you have time to spare, especially if you can keep up with several tables at once! 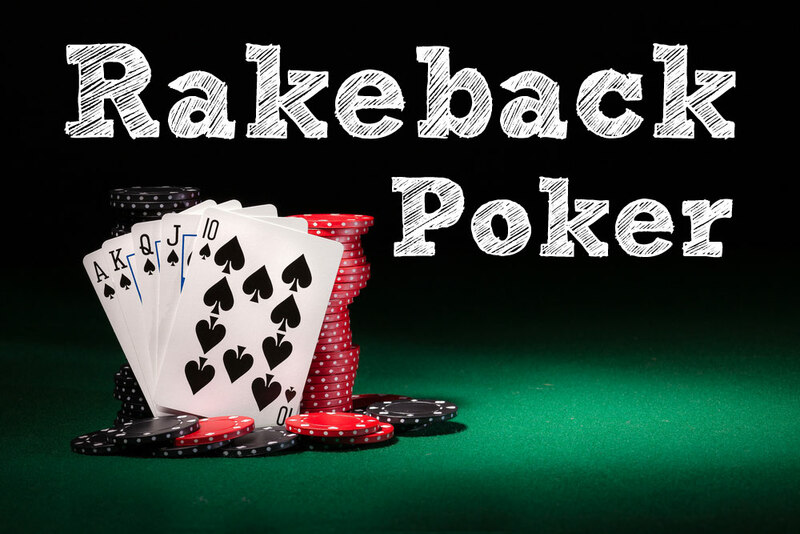 What is Rakeback Poker, and Why Should You Care? What is rakeback poker and how you can benefit from this interesting opportunity available to all players who are seeking the best online poker tips? Read through this article to have poker rakeback explained to you in simple terms. You’ll find it’s a surprisingly simple and effective technique that can add an edge to your online poker sessions. If you’ve been playing poker online for a while and you have lost a good deal of money already, poker rakeback could help you mitigate some of your losses. If you’re at that stage when you win frequently enough to break even but not to quite turn a profit yet, you may be surprised to find this simple online poker tip could make you achieve profitable gambling right now! In fact, you could have available rakeback bonuses waiting to be claimed, within your most active online casino accounts. That is why you should care about this feature and look into it right now: because it you don’t know about it, chances are you’re leaving money on the table! Poker rakeback is a profitable option available from many online casinos to reward loyal players who regularly put wagering money into their system. To understand how it works, you should realize that most on-line casinos support themselves by collecting a fraction from all the money that goes into the pot in all of their tables. This commission you’re asked to pay before joining a tournament or Sit & Go is usually fractional in relation to the funds in the pot, and its use is typically known as “raking” – and that’s where the concept of poker rakeback comes from. When you’re looking at a “poker rakeback” bonus, it simply means that casino is offering to give back some of the money you initially spent to get a chance of playing in their tables. This option is generally offered as part of loyalty programs or VIP programs, meaning it’s something that casinos use to thank their best players for staying with them. If you’ve never considered this bonus would be available to you, maybe it’s time to ask your favorite online casino about it by checking with customer support. Now let’s look at a very simple and effective way many players are using poker rakeback to add a winning edge to their online poker experience. If you want to make your online poker more profitable right now, without any need to work hard to keep improving your skill level, leveraging rakeback could be your best option. This can be done very simply by playing many tables at once, thus multiplying the total rakeback amount available to you. The more tables you play, the higher the combined amount you can benefit from even if you don’t win that many hands in total. Does that sound counterintuitive? It’s not, and you can make good sense of it by considering the numbers. Anyone who knows what is rakeback poker should understand the involved compensations are only a small fraction of the pot… but as long as you stick to tables which are cheap to join, you can potentially play dozens of tables at once without wasting a huge amount of money. The combined rakeback you get from participating in so many tables at once can build up really quickly… and provided you play conservatively, managing that many tables at once isn’t too draining. It may sound challenging to begin with, but this playing style can be a great way to build some poker muscle quickly. By playing many tables at once, you will get some rakeback cash even if your winnings and losses cancel each other. In short, you can use this technique to make sure you always win even when you’re barely scraping by. Next:A Beginners Guide to Playing Poker!